At ONEWAY Heating and Air Conditioning we offer industry leading heating services to Midland, Spring, Odessa and the surrounding areas. We specialize in heating system repair as well as installation of new units. 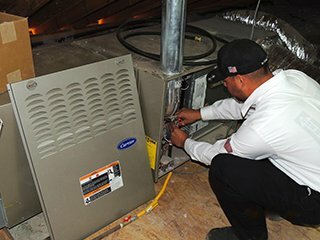 Our expert technicians have experience with all major furnaces and broilers in the industry so you can rest easy knowing that we can maintain the system in your home. We are there for you when something goes wrong with your heating unit, at any time of the day or night. We offer 24/7 emergency repairs for Midland, TX; Big Spring, TX; Odessa, TX; Andrews, TX; & Big Lake, TX. At ONEWAY Heating and Air Conditioning, we understand if you are having issues with your furnace, you will want it fixed as soon as possible. That is why we offer same day heating repair and maintenance services. Call today for a free estimate on a new system installation or a replacement unit.